Mind of a Giant - Jackson Wild: Nature. Media. Impact. ​Minds of a Giant explores what it is like to be an elephant, as revealed by revolutionary new research. As scientists struggle to find out how many elephants are left in Africa, they discover intriguing new behavior. In order to survive their current crisis, the elephants are learning. 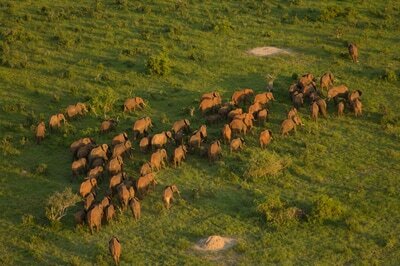 We are discovering that elephants must be considered one of the most clever and complex creatures on the planet. They exhibit empathy, grief, joy, fear and revengefulness, but their complexity goes beyond emotion. They have self-awareness, can co-operate and pass on information, and adapt to solve problems in ways we never knew. Vote for and support political candidates that are passionate about nature and wildlife conservation. There are so many things that scientists are only beginning to learn about the mental and emotional lives of elephants. The irony is that they’re doing this precisely at a time when the species is under enormous threat, in the near term from poaching and long term from the expansion of human populations and accompanying encroachment of elephant habitats. 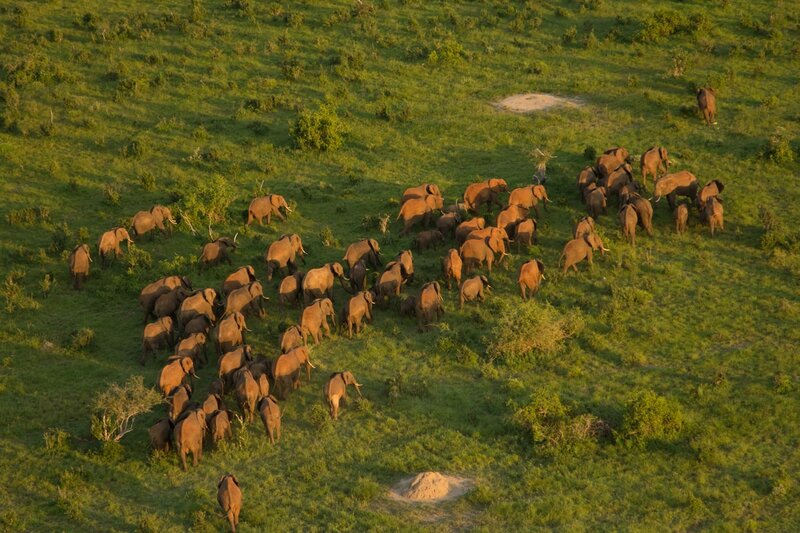 When we learned about the scope and intent of the Great Elephant Census, a pan-continental aerial survey of African savanna elephant ranges spearheaded by Paul G. Allen, we wondered if the data uncovered might serve as a foundation for a film. We also thought it presented an opportunity to connect with the leaders in the scientific field to help ensure that these front-line findings would be shared with the widest audience possible. When world-renowned elephant scientist Joyce Poole shared an animation of some GPS “streaking” data from Kenya that showed elephants have been changing their movements in response to human pressures, the scientific heart of the film was set. As with any story based on scientific discovery, the key is to get it right while still telling a compelling narrative. We were lucky in this regard, as we had the support and guidance of the world’s leading scientists in the field, and of Paul G. Allen’s Vulcan Productions. But challenges took other forms as well. For instance, we had to figure out how to properly install a mirror big enough for an elephant to use in the wilds of the Okavango Delta. Then we had to judge if the elephant recognized itself, which obviously required a great deal of patience and scientific observation. Finally, we needed to give viewers a sense of scale of the African continent—an undertaking that required flying the distance to the moon and halfway back all in a single-prop, four-seater plane. The challenges were many but each held its own special satisfaction when surmounted. 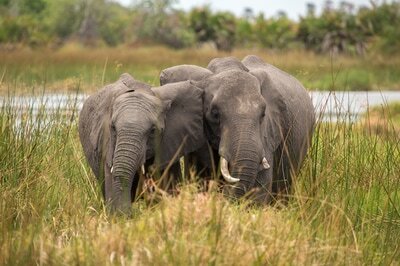 For the second time in a century, African elephants are in crisis. They are verging on extinction where not long ago they were abundant. It’s been estimated that an elephant is killed for its tusks every 15 minutes—30,000 or more each year. It is our hope that this film will show the world the little known side of the elephant’s intelligence, and that the life of an elephant is as rich, meaningful and precious as our own. By instilling empathy in our audiences, we hope to inspire others to engage in this race against extinction. The shooting period was so long and the scope so vast that each of us in the crew had our own powerful experiences. For some, it was finding an elusive herd after a week of searching in the expanse of Ethiopia. For others, it was the unsettling experience of standing beside a dead elephant only days after its life was taken by poachers. Sometimes it was an individual who moved us, like the 7-ton giant Satao whom we were the last ones to film before his death. Other times, it was witnessing the decisions made by massive numbers of elephants, as in Chobe, where thousands fled to the safety of Botswana to survive as political refugees. Elephants are not merely helpless victims of mankind’s greed and cruelty. They have survived our aggression for thousands of years by watching us, learning to adapt to our habits, and altering their very cultures and societies as a result. But even with all of these extraordinary tools at their disposal, we still have the power to wipe them off the face of the earth. They do have the ability to survive the current crisis they face, but they need our help. We must put a stop to the killing, and set aside enough land for them to exist and roam in safety.